Analogue – continuously varying between limits. Eg In our NLP submodality work our pictures have varying brightness, size and loudness. Brightness varies from very very bright, or startlingly bright, all the way down to dull or dark. There are lots of varieties of brightness in between very very bright and darkness. Digital – Either one way or the other eg Black or White, not in between. 0 or 1. 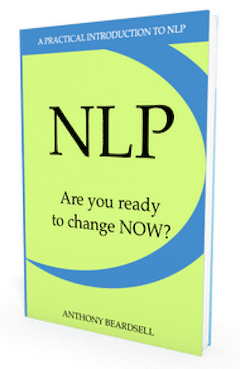 In NLP we refer to a term Auditory Digital, which is our self talk. This is language and our words do not vary in consistency, they are spelt a certain way, thus digital. In our NLP trainings we assess analogue properties in the images that we create in our heads, our feelings, and the sounds that we hear. We can change these analogue properties in order to make ourselves feel happier, more energised. 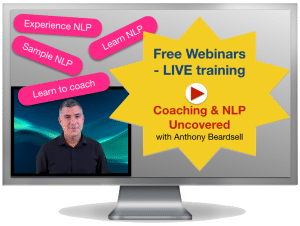 You can find out how to we do this in our NLP online training series, NLP Practitioner Training Course.